This volume combines three distinct Papers based on work in the Central Highlands of Chiapa. Paper 54 presents the excavation of a large house mound and associated terrace structures at the Late Classic site of Yerba Buena. 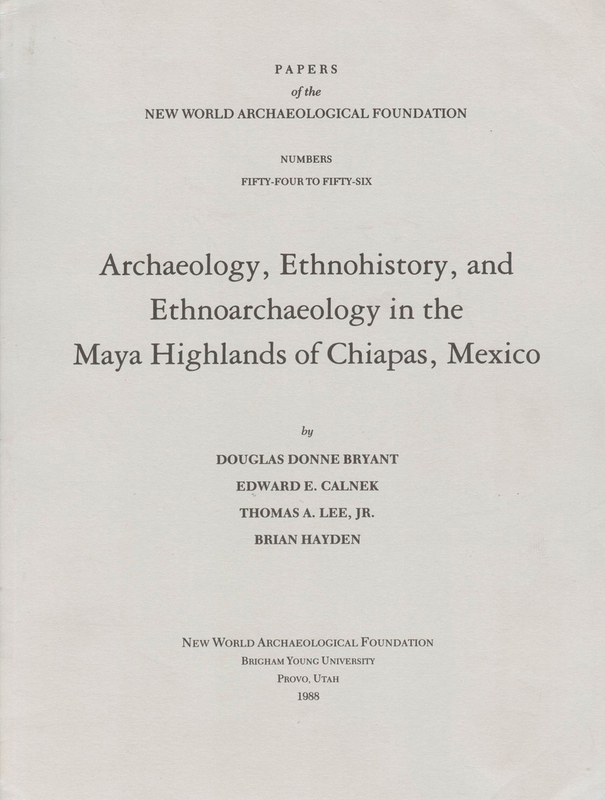 In Paper 55 Edward Calnek offers the ethnohistory of the Chiapas Highland Maya before the Spanish Conquest, with an appendix of Tzetzal-Spanish words of Copanaguastla from Domingo de Ara’s Vocabulario (with English translation) done by Mario Humberto Ruz. Paper 56 presents the findings of the Coxoh Ethnoarchaeology Project, an examination of modern Maya households designed to complement excavations at the Postclassic site of Coapa.